Washington, D.C. homeowners facing foreclosure should very carefully examine their options, including voluntary surrender. Three conditions primarily determine when it’s time to give up your home to foreclosure. Affordability. If you can’t make your monthly mortgage payment anymore, remaining in your home may be economically unsustainable. Equity. If you sold your home on the open market, would it have to be as a short sale? Here’s another way to ask this question. 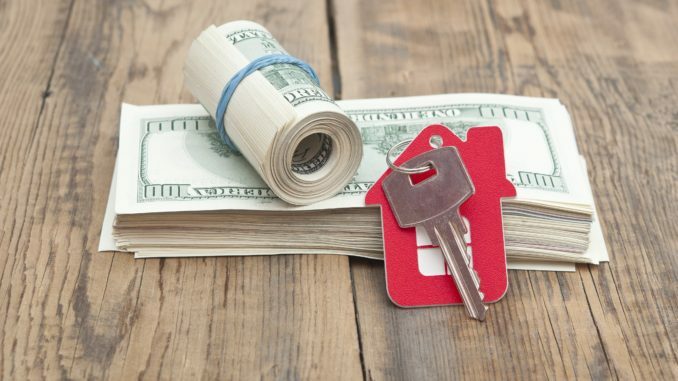 Are you paying more for your mortgage payment than you would to rent a comparable home? Expenses. Your projected income and expenses make it unlikely the bank will be able to collect for any foreclosure deficiency within the near future. If any or all of these conditions apply to you, contact an attorney immediately. You must actively respond at each stage of the foreclosure process to preserve your rights. You can save yourself a ton of time and money by doing so. If there is no way that you will pay any deficiency judgement against you for the balance of the mortgage, we will probably be able to negotiate an antideficiency agreement with your lender. In those cases, the mortgage company will often be agreeable to more favorable terms of surrender. The bank would rather give up a later right to collect against you than have the foreclosure litigation drag on months longer than necessary. A short sale means doing a lot of work for the bank for free. Allowing a foreclosure to simply happen without proactive representation could prove financially disastrous. And later, you may find yourself facing a lawsuit for the balance, too. You must take an active role, personally or through your attorney, to protect yourself during the foreclosure process. Look at it this way: letting go of a home that isn’t worth what you are paying for it could turn out to be a blessing in disguise. If you have equity and can afford your mortgage, then we will pursue a loan modification or open market sale. But if your home is under water (or “upside down”) then you should at least consider whether surrender during foreclosure might be right for you financially in the long-term. After all, you will likely qualify for another mortgage after three years of the foreclosure. And in the meantime, you will be able to transition to housing more suitable to your needs and means, which will allow you to save up for a down payment. Often, the biggest hurdles to homeownership are purely psychological. At Lee Legal, we’re your biggest believers. Finally, you will have extricated yourself from a difficult situation by employing foresight and by making hard choices. And that’s certainly something to be proud of.